I kind of feel like I just found out that Santa wasn’t real or something. For my whole life, I’ve wrongly believed that what is in that can of pumpkin puree that says it is in fact 100% pumpkin puree is, in fact, PUMPKIN. Well, joke’s on me. It’s NOT!!! True story! I guess pumpkin can be really stringy and watery and not that sweet, so squash it is. So now I’m not sure what to think. Is pumpkin really pumpkin? Do you know? Does it really matter if it tastes so good? Do I avoid this issue and make my own? Did you know about this forever and not tell me? I’m heading off to decide if I have to change all my pumpkin recipe titles to say squash. Hmmm. lol!! Meh – just pretend you are Australian for a moment and call them all pumpkin. Pretty much all the ‘squash’ I keep seeing in your photos (well a lot of them) I would class as a pumpkin. The butternut squash we call pumpkin too. There is an amazing diversion on names (and spellings) of different items between the US English and UK or Australian. I’ve made pumpkin pie with butternut squash before, can’t tell the difference! First of all, if canned “pumpkin” is a blend of squashes, does it really matter? Not to me. Of course, the label should reflect that if that is the case. But it truly doesn’t bother me. A sweet potato is not from yams, a sweet potato is orange, a yam sometimes found in the southern states is very different, white fleshed . Also the Caribbean and south America. ! You could just try growing Dickinson pumpkins–it’s an heirloom available through Baker Creek, though I don’t think they have the Libby’s strain. I didn’t know about this particular issue, but I live in the DC area, and the Washington Post food section always advises people looking to make pumpkin pie from scratch to use Butternuts. They always claim that Butternut or another squash look, smell, and taste more like we *imagine* pumpkin than most pumpkins do. I’m not sure if that’s their stance just if you’re ditching canned pumpkin or whether it has something to do with the difficulty in finding good sugar pumpkins around here, but I think it might be that so many people really don’t know where food comes from–they almost think pumpkins grow in cans or latte cups. Squash Spice Latte does not roll off the tongue as nicely, but I am okay with squash in a can. At this time of year, I can use a can or two a week just baking, cooking and blending up a little PSL. Pumpkin puree is something I do not take time to make myself. Grow a few Hubbard squash. They are easy to grow, and the purée freezes well. We put at least one up each year and have enough for pie any time! In my opinion, there is no better “pumpkin” for pies, baking and just plain eating. There is a pot of spicy pumpkin chili in our kitchen cooking now for the game this afternoon. I try to make my own with sugar pumpkins. I just freeze it. In fairness, I’ve made a pumpkin pie with acorn squash and it was delicious! This explains why Libby always tastes the best – this is one product I never buy generic or non-Libby for pumpkin pies. If they say they are growing a special pumpkin for their cans, I think they have chosen the ones that produce and taste the best. Did you try to find that kind of seed? I’m growing a pie pumpkin this year – they are small, but have two turning orange now. When I cook pumpkin to freeze, I mix it well with a hand mixer to make it smooth and creamy, and defrost it in a colander to let it drain. This doesn’t upset me – makes me trust Libby all the more for the best flavor. in two cup baggies for baking. It is not stringy and has a mild squash flavor. It is also easy to grow! I use this squash in yeast bread and it has a lovely orange color. 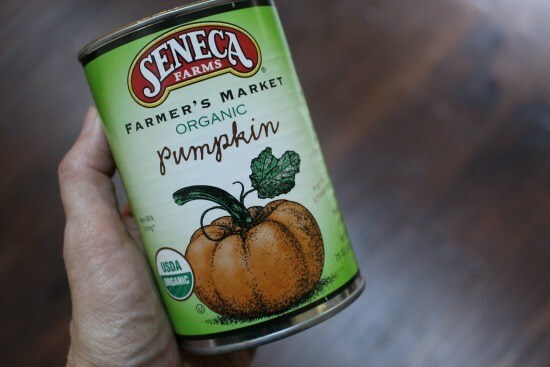 And as the article says, pumpkins are a squash….so saying the can is full of squash….well, yeah. The difference between pumpkin and squash is the shape and color. If it looks like you could carve a jack-o-lantern then Americans refer to it as a pumpkin, Other shapes are usually called squash. But this is not a scientific distinction, botanically they are all cucurbitas. For commercial uses a very large hollow center is a waste of shipping space. Something with a very small seed cavity and thick meaty flesh is more economical to ship and process. Since the end produce is pureed, as long as it tastes good, why do we care what the squash looked like before processing? There are lots of things to worry about, but this isn’t one of them. Look for a more important cause to champion. I agree with you, I would be more concerned with additives than pumpkin verses squash, they are both healthy, if I was going to use fresh for baking, I would use a combination of sweet potato (orange flesh) and butternut, and save time bake them in the oven in their skin, much easier than peeling and they are drier. I think with today’s regulations, it would be hard for a company to get away with advertising 100% pumpkin, if there was no pumpkin in it at all. However, rather than growing pumpkins for pie, I would recommend growing cushaw squash. They are huge, easy to grow and you get a great yield. Baked in a pie, you can hardly tell the difference between pumpkin and cushaw. And if you have to buy them, they are usually quite a bit cheaper then pie pumpkins.